Two trolls from Artizan/Mike Owen (via Northstar.) I thought they looked like they would go well with the Satyr Art Studio/Drew Williams trolls. While I'm happy that the sculpting and casting are just as good, I'm a little disappointed that the're a bit smaller. But I'm hoping that after they're painted and based, they'll fit in a bit better. I'm expecting the third set of 3 Satyr/Drew trolls to arrive any time now. 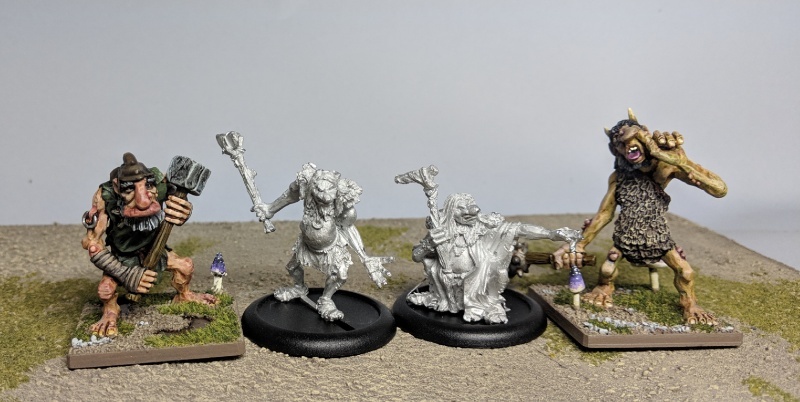 So I'll have a nice small batch of trolls to paint up soon. I should try to find one more to fit in with these, and make it 6 to paint. In the mean time, I took a break from the half-orcs and jumped ahead to some minis I had prepped for the next theme-month: Deadcember. 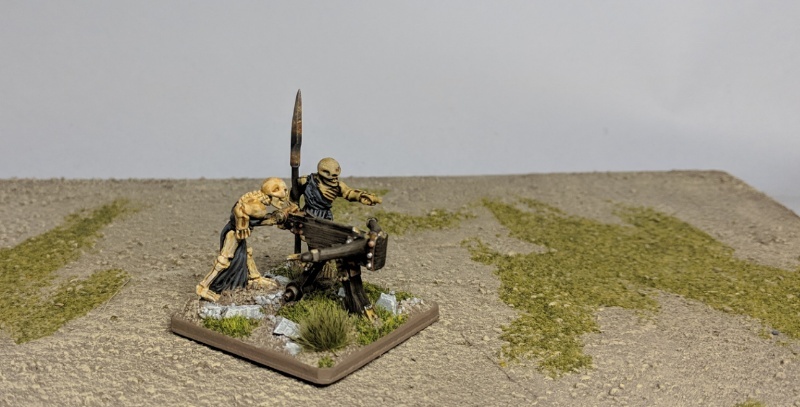 That light bolt thrower is awesome! and I would not worry too much about the troll size, Nordic style trolls seem to be highly variable in size. I think you're right about the trolls.